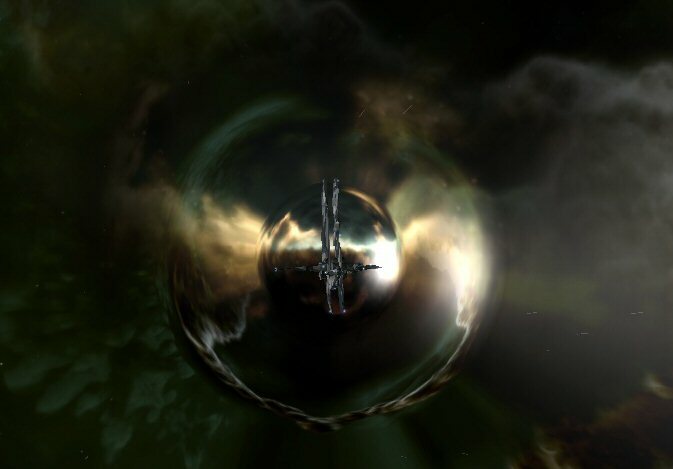 I have frequently seen posts from people on the EVE-O forums or /r/eve asking about getting into wormholes for the first time. Some of the posts are from newer players that are unsure if their skills will allow them to contribute anything to a corporation living in w-space. Other posts are people unsure of the way of life there or overwhelmed at the thought of moving their little corporation into w-space. I’ve decided to write a short series of articles to help players who are interested in wormhole life answer some of the questions they may have. Part 1 will focus on an individual player looking to find a corporation to join and will hopefully answer the questions that player might ask. I’ve seen this statement followed up (or preceded) by any number of things. Sometimes it’s a player stating that they just love exploring and scanning and they aren’t sure a corp would be interested in them (short answer: hell yes). Other times it’s a player worried about whether their skills will allow them to be useful. These are all valid questions and there are more just like them, so let’s take a look in more detail. The first example given above is actually a pretty common question. Players who aren’t really interested in PvP and who love exploring and scanning wonder if wormhole life has a need for them. The answer is: absolutely. Scanning, exploring, and scouting are all VERY important for life in wormhole space. Somebody needs to scan out your home wormhole and all connected systems each day (and ensure your wormhole mapper is updated), if that is something you enjoy doing your corporation will love you. During your scanning and exploration you can be on the lookout for targets (be they players doing of PvE activities, forces engaged in PvP, or any offlined towers ripe for the killing). You don’t even need to participate in the actual PvP, players will be happy that somebody helped find them content. Some groups even reward their scouts with all the loot from any kills they help the corporation find (the guys from the Down The Pipe podcast talked about doing this multiple times). In my own alliance most of the scanning of the wormhole chain is done by a couple of people who really seem to enjoy that aspect of gameplay. Other members can (and do) contribute from time to time but the bulk of the time it is one of a handful of members going system to system looking for targets or interesting exits. If you want to take a more active role in finding content for the day there is no better way than scanning and exploring. The skills question is different depending on what your current skills are. If you don’t have the skills to fly whatever your new corporation uses for PvE sites you can still get involved by “picketing.” Picketing is when you sit cloaked near a wormhole and keep an eye (and ear) open for any jumps into your system, alerting your corp mates if anybody enters and passing along whatever intel you can get (ship type and a link to the pilot if possible). The job of picketing is boring, but it is necessary. This role is normally filled by alts of pilots that are in the main fleet, but those players shouldn’t have an issue allowing a newer member to take that role so that they can earn a share of the ISK made from the site. You can fill that role to earn income while you train up the skills needed to fly in the actual PvE fleets themselves. This isn’t to say that you need high skills to be able to fly in PvE fleets in wormhole space. Depending on the class of wormhole you live in you can easily get away with an RR battlecruiser/battleship of some sort (for the lower class wormholes) or a pimped out T3 cruiser (for the higher class wormholes). On the PvP front there is surely a role you can fill. Cloaky scouts are a necessity in wormhole space, and if you can provide a good warp-in point for a tackler or provide “hero-tackle” yourself you can easily be valuable to your corporation. The needed PvP skills beyond that are really up to your corporation itself. The only skills I would personally say are a must-have for W-space are cloaking and scanning skills, life would be very difficult without a covert ops cloak and some bare minimum scanning skills. Ship requirements overall are pretty flexible in w-space. While some of the larger groups may prefer (or at least regularly field) T3 fleets you can still find a group that will be happy to have you flying in whatever you can fly comfortably. Wormhole space allows for players of any and all playstyles to play together. If you enjoy mining, manufacturing, PI, site-running, or PvP you can find plenty of it to keep you busy. If your preferred playstyle leans more toward PvE there are corporations that live in W-space spending their time focusing solely on the PvE side of things. Personally I would advise against joining a group that only does PvE. I don’t look down on people who focus on that playstyle, but if you can’t (or won’t) defend yourself in W-space you are at risk of being evicted and losing everything you’ve built up in your home wormhole. You can easily find a group that does PvP, join up with them, and manufacture ships for them. If you are knowledgeable about PI you can make a nice profit for everyone in the corporation by running a corporate PI project. Get as many members involved as you can and pool PI products together to make some P3 or P4 goods and then sell and split the earnings. These are all viable ways to make money for yourself and the members of your new corporation. Keep in mind that even if you personally focus on PvE you will likely still be required to help defend the wormhole should the need arise. As long as you look for a corporation that accepts players who aren’t looking for PvP and make your intentions known you should have no issue fitting in. Players who enjoy the PvP playstyle will find that living in W-space lends itself to a pretty varied PvP landscape. Due to the nature of random wormhole connections you can find yourself looking for PvP in different areas of space and in different ships each day. Interested in roaming around nullsec a bit? Or harassing plexers in Faction Warfare space? Maybe you feel like ganking players in highsec? 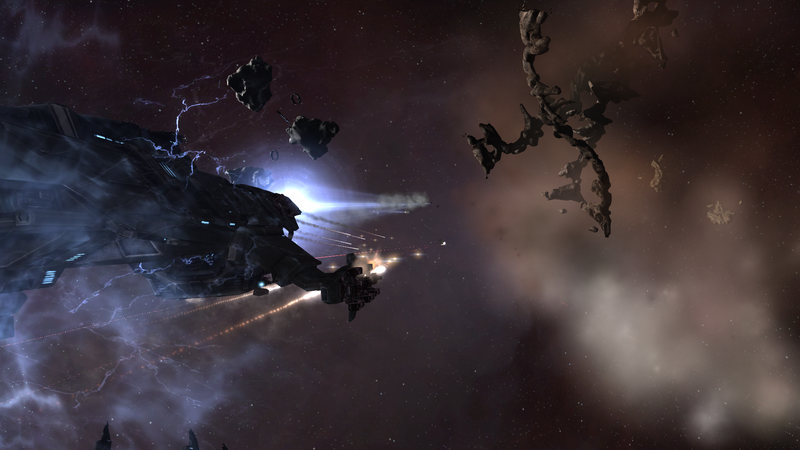 PvP in wormhole space affords you the opportunity to experience combat in different parts of space each day. The combat you find within wormholes themselves has gotten more varied recently thanks to various changes and no longer tends to be merely T3s Online. My own alliance has a Fleet-Up group with fits of various ship sizes so we can put together a fleet to take advantage of anything from a small-ship wormhole to a null or lowsec exit. While I would still like to see more use for battleships and battlecruisers in W-space PvP there are plenty of opportunities to fly around in anything cruiser or smaller. If you desire capital ship combat you should look for one of the larger wormhole groups that lives in a C5 or C6. If you’re a new player wondering what route to take, you could start by doing some scanning and exploration on your own. Spend some time scanning down signatures in a nearby system and see what you find. If you come across any wormholes, go inside and take a look. Not only is all of this good practice at scanning (an invaluable skill in wormholes), but it also helps you get more used to being in W-space, dealing with the lack of local and spying on the residents. Eventually you’ll get more comfortable and can start “day-tripping” into wormholes yourself (or with a couple of friends). That could be the topic of an article on its own, but the jist of it is finding a wormhole you want to essentially live in for a day or two and then spending that time running the sites and PvPing from that wormhole. When you feel ready to join a corporation and do this stuff full-time, expect a full API check to be conducted. You are going to be living out of a POS and sharing ships with people, they need to know they can trust you to not empty out the Ship Maintenance Array in the middle of the night. Many groups also have their new members in a different corp within the alliance (or in a separate “new member” POS) in order to help mitigate the risks of having new, untested members within the group. Hopefully the eventual POS and corp roles revamp will help make it more manageable to handle these situations. I hope this article clears things up for players and makes wormhole space seem less daunting and mysterious. If there are any other things I missed please let me know in a comment below or in an evemail. The second part of this series will look at things from a corporation perspective and will go into things a corporation will need to look at and plan for before venturing into wormhole space for the first time. Cilvius enjoys being really slow at scanning down wormholes and targets, getting trapped on the wrong side of a collapsed wormhole, stalking neutral site runners while cloaked as a fleet forms up, and badgering members of his corporation and alliance to use the wormhole mapper site.